Premier automotive technicians are trained in all facets of service, repair and diagnostics. Their skills are evident in the pride and quality of workmanship in every job we undertake. Our tech's incredible working knowledge of the vehicles at our facility, along with technical and engineering expertise, will leave you with a feeling of confidence that your car will be repaired right! 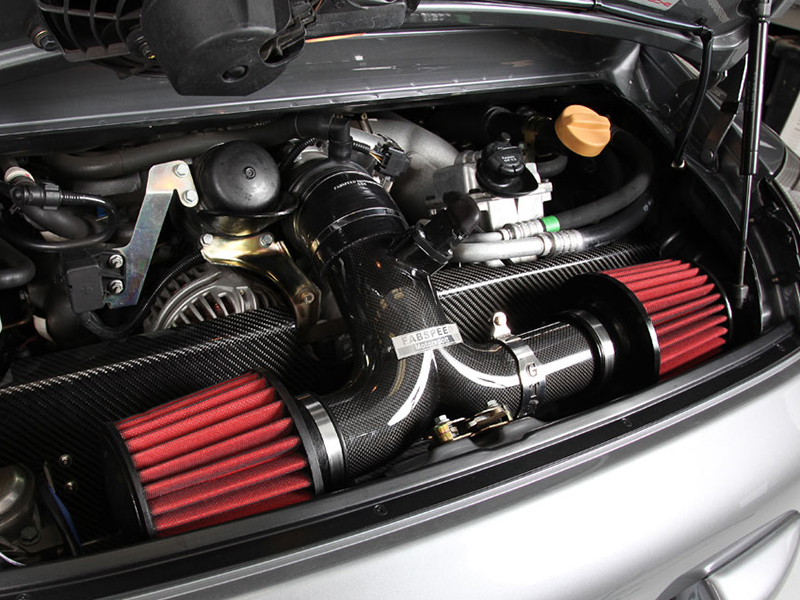 We specialize in superior performance upgrades for Porsche and Ferrari sportscars and more. If we don't believe in a product, we don't sell it and we don't install it. Experience the same feeling of confidence, reliability and power that is Premier Sportscar Service. You don't get a 100% reliability rate in the American Le Mans Series and at Le Mans by missing details! We have mastered the art of car preparation in the paddocks of the world's most grueling endurance races. We really do prepare winners! 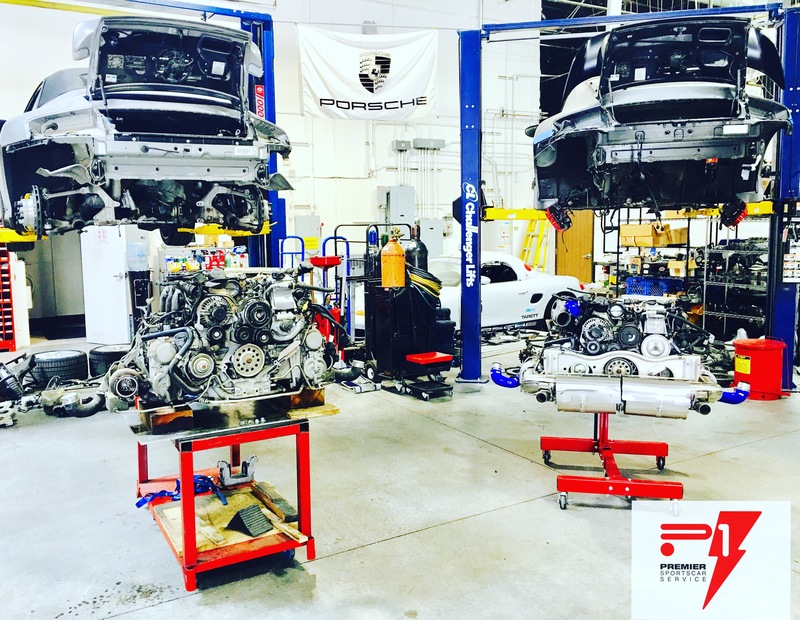 At Premier, we are committed to creating and maintaining your Porsche at a level commensurate with Porsche’s high manufacturing and performance standards. Our focus is to assure clients that your car is prepared and ready to safely go under a variety of road conditions. 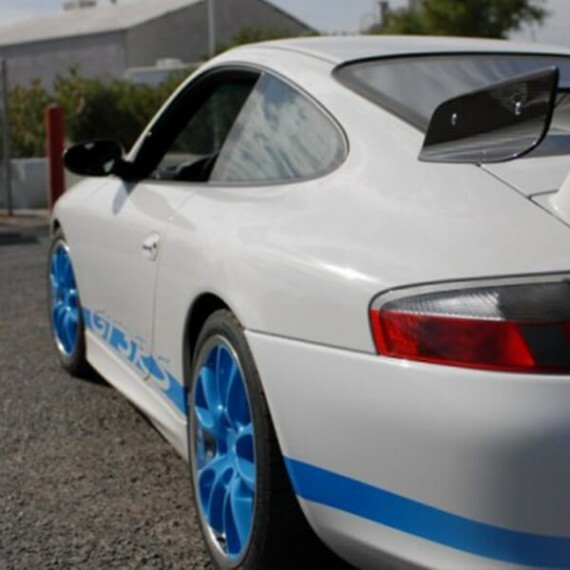 We specialize in all Porsche vehicles, from the current models off the showroom floor to the classics. 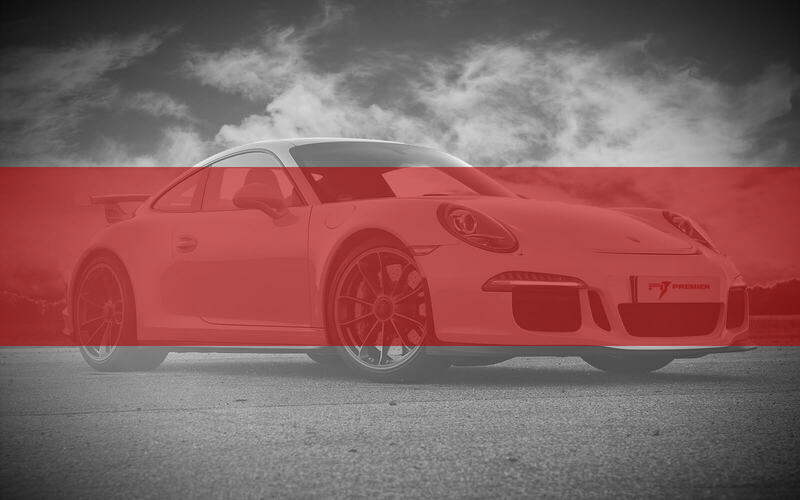 We can maintain and service your Boxster, Carrera, Cayman, Cayenne, Panamera and 993 models to the flagship 911 GT3, 911 GT3 RS, 911 GT2RS and even the Carrera GT. No job is too small, big or challenging. We are 100 percent service focused. For clients seeking the best for their automobiles, there is no shop that is better suited to service, repair, modify or prepare a Porsche. We have high expectations of delivering the best service possible; our clients demand it. Premier experts. Porsche proven. Client approved. Premier has perfected the art and importance of thorough car preparation in the paddocks of the world’s most grueling endurance races in the world. Premier owner Kent Moore’s proven 100% reliability and finish rate at the 24 hours of Le Mans and in a variety of professional racing series doesn’t happen by accident or by luck, but by meticulous attention to details. With the opening of Premier Sportscar Service, Kent has offered that same meticulous level of care and attention to the public. Whether you are a driving enthusiast or fan of any Porsche vehicle, Premier can help enhance your goals. The Premier standard is to assure clients that their cars perform at the highest level and are safe and reliable on the highway or the street. Our service provides the confidence drivers need to fully enjoy and appreciate their driving experience. Premier’s experience at the highest level of professional motorsport where 10ths of seconds matter, translate to understanding and knowing what works and what doesn’t. Premier aligns itself only with those companies’ with the engineering know-how and battle tested experience who create proven performance upgrades. Our business isn’t based on cozy supplier relationships, advertisements or the super performance part of the day: simply, if it doesn’t deliver, is a waste of money, or isn’t safe, we won’t recommend it, we won’t sell it, and we won’t install it. 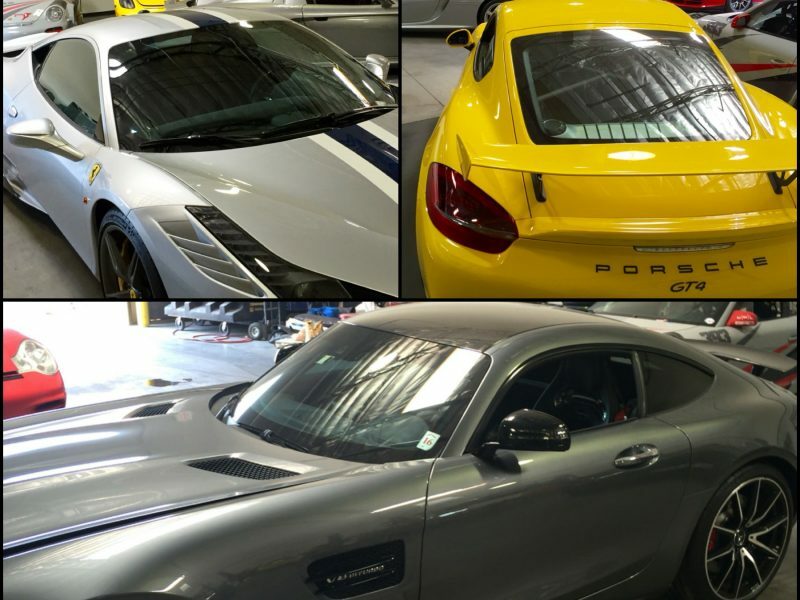 If you own a Porsche, or any exotic for that matter, Kent and his team at Premier Sportscar Service are the place to go! From basic service to major horsepower upgrades, this place has it all. My 911 Turbo and GTR have both underwent multiple stage kit upgrades and the work was always on point. Even other Porsche dealerships send them work, that's how good they are! Don't believe me, walk in and see the goods. You won't be disappointed! 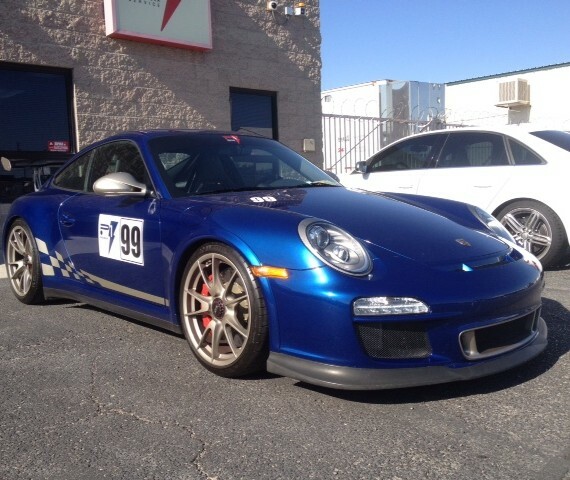 A friend recommended that I take my Porsche 991 Carrera S to Premier Sportscar Service. I wanted to have them install performance upgrades as well as new race seats. I dealt with Kent who was very professional and met all my needs as a Porsche owner. I highly recommend this shop to anyone looking for professional advice and quality service. Recently went to Premier Sportscar Service for a minor tire issue. The scheduler went out of her way to handle my issue in a timely manner. When I arrived at the shop I was graciously greeted and given a tour. I was impressed by the extent of work being done here. It was apparent that a high level of expertise was present, and mechanics with an attention to detail would perform my work. 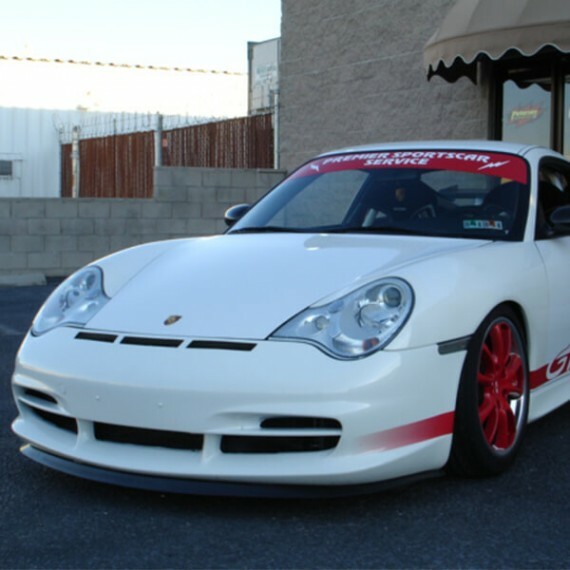 If you have a Porsche and need repairs, or upgrades done, I would definitely consider Premier. I will be back! I have a number of cars that Premier has worked on from a 76 912E to a GT3 RS, and everything from oil changes, to complex engine issues. The team here is top notch. 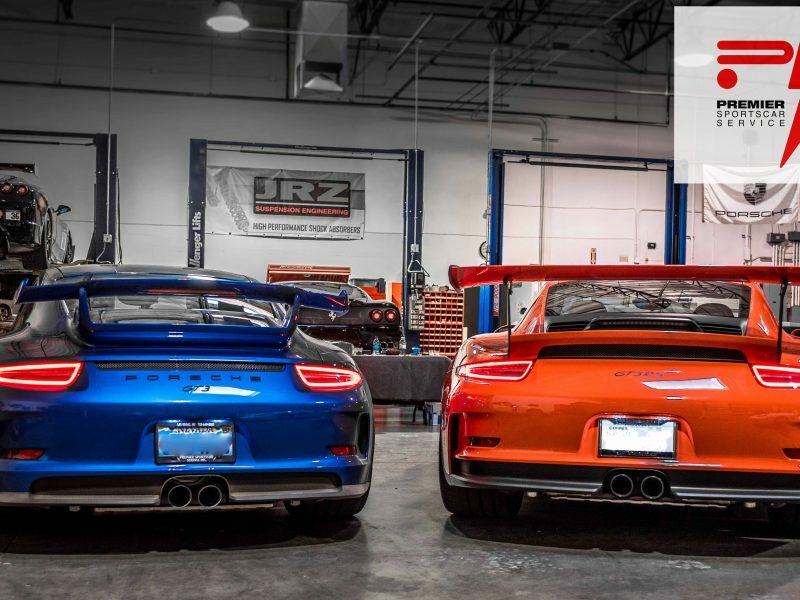 When you see the awesome collection of cars in the shop, it is clear that this service shop is trusted by Porsche enthusiasts. Don't go anywhere else before you visit this shop to at least hear what they have to say. I have been bringing my Cayman R to Premier for almost a year now. We have done many upgrades and maintenance and everything has always been top notch. Kent and his crew really know their stuff and I wouldn't hesitate to bring any of my cars here. I plan on being a return customer for as long as I own a Porsche! 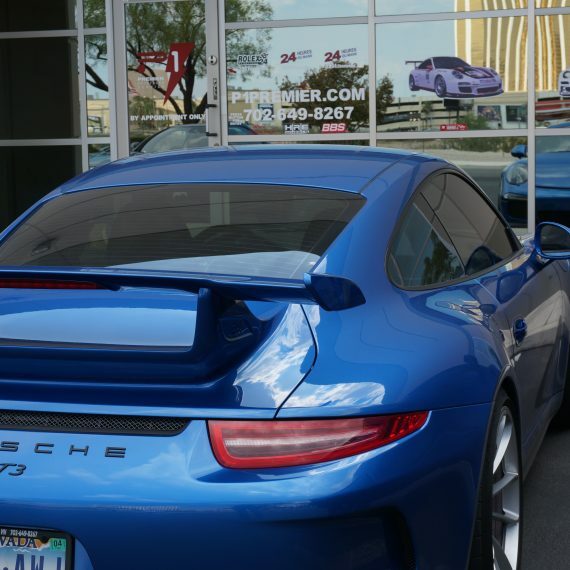 Premier Sportscar Service is the best place for Porsche service anywhere in Las Vegas, if not in the entire country. Kent Moore was the lead tech for the Petersen/White Lightning team, that won every major endurance sports car race. His prices are more than reasonable, and you couldn't find a more honest mechanic that knows everything there is to know about Porsche cars, from Cayenne's to GT3 4.0's. Even if I was across the country, it would be worth it to ship my car here for any tuning, repair, maintenance, or adjustments. Absolutely and highly recommend this shop! !